Waterfall trail "Auf die Alm"
Up to the 'Alm'! Here are our operating times! Start of our summer season: Saturday, May 18, 2019! Sale of season tickets for 3 Länder Freizeit-Arena starting Thursday, May 2, 2019! Come and visit us in the summer time! 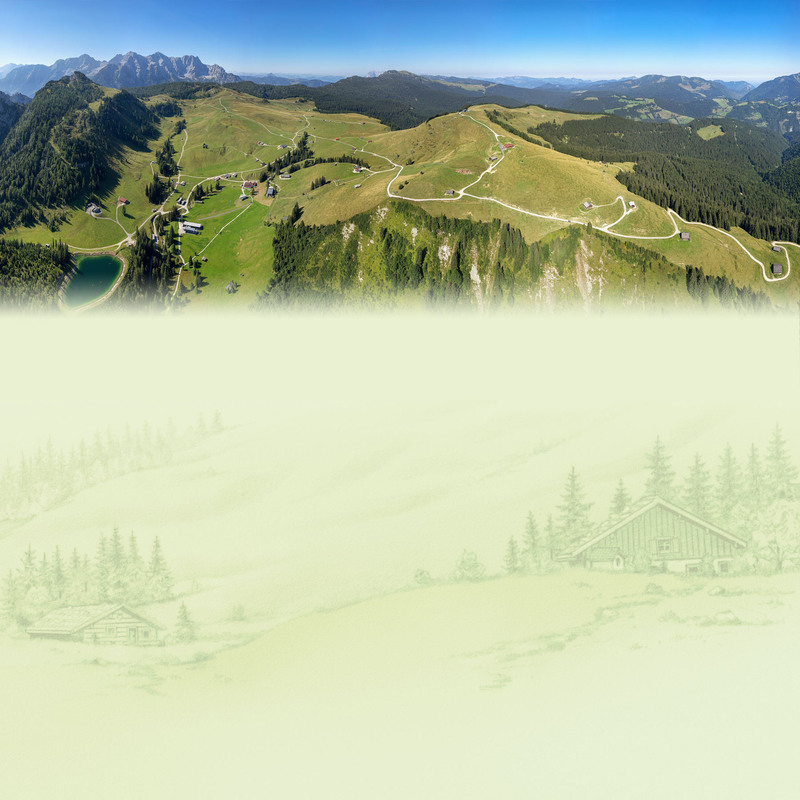 Take cable car I and II into Almenwelt Lofer! 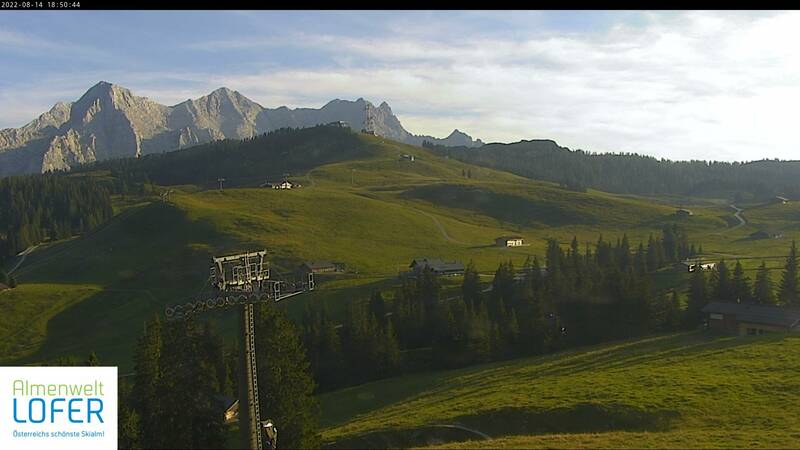 Take a seat in our comfortable cable cars Almbahn I and II and ride up into Austria's most beautiful hiking pasture! 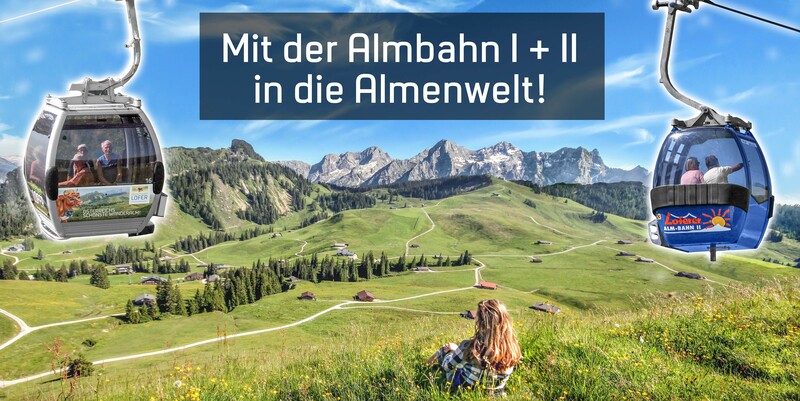 First take the 8-seater cable car Almbahn I up to the middle station, Loderbichl, at 1000 m sea level, to the starting point of our adventurous hiking trail "Auf die Alm" or take the second cable car Almbahn II right up to the top of Almenwelt Lofer's beautiful alpine pasture. Summer holiday is starting at Almenwelt Lofer – and we are joining in! Almenwelt Lofer amongst Austria's best summer cable cars! We are starting into the summer season on Saturday, May 18, 2019! Every Tuesday, Thursday, Saturday and Sunday in the pre-season - daily operation starts June 22 from 9 am until 4:30 pm. Please also see operating times... Looking forward to many visitors at Austria's most beautiful hiking alp! Summer events with music and fun! 3 Länder Freizeit-Arena annual ticket!